I feel like there have been a lot of snowy, wintery posts on here lately — well sorry, because this is another one! I’ve always thought of myself as quick learner but some life lessons seem to take awhile to sink in. After more than two years of trying new activities and taking on risks, today I figured out that I’m not quite as adventurous as I’d like to believe. I guess I should have realised this after being gripped by pure terror while attempting downhill mountain biking at Whistler (twice!). Or my general skittish nature towards jumping off cliffs, rocks, rails etc on skis… things that I like to consider essential to, you know, stay alive, but Mr Midday Musings seems to rather enjoy. 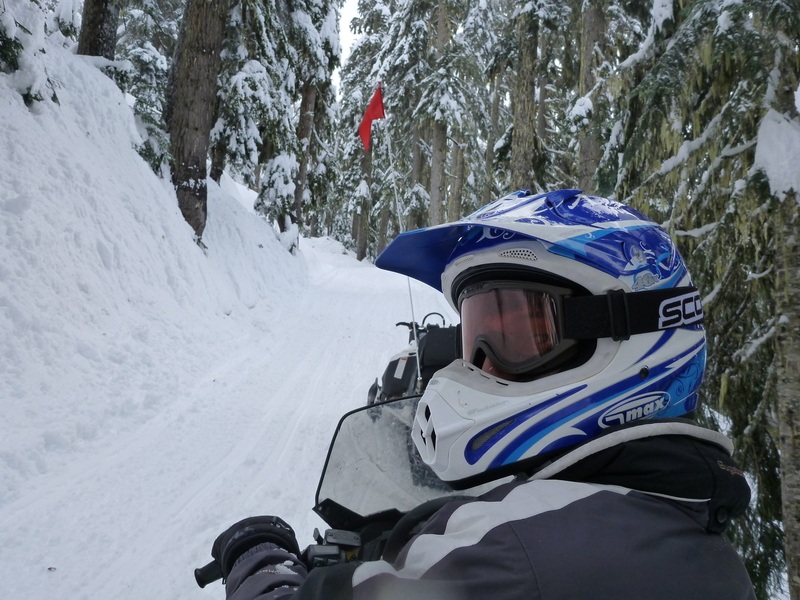 Anyway, today I had my lightbulb moment about 30 seconds into our pursuit of a new winter sport — snowmobiling. 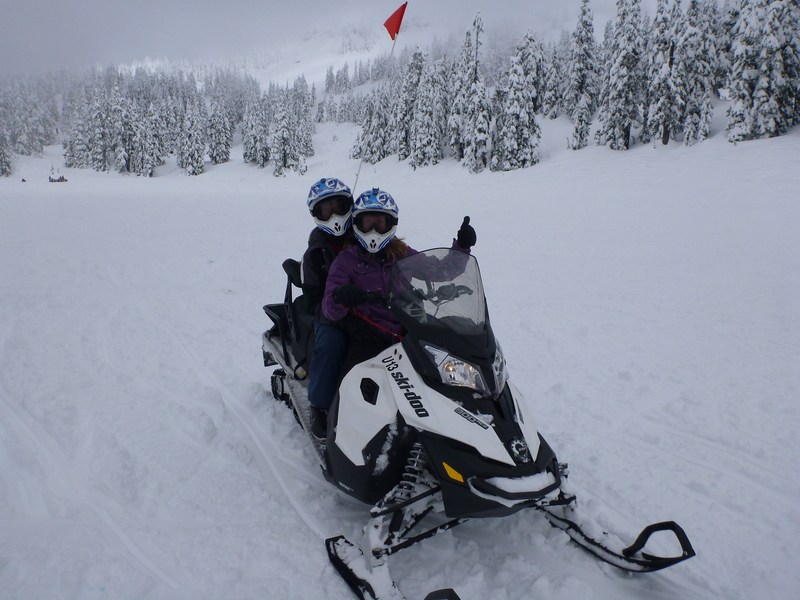 Admittedly, we had signed up for the “adventurous” sledding guided tour, which is not necessarily recommended for beginners, despite the fact that every single person in our group was one. But pretty soon I was bunny hopping and slipping around in the snow. My hands were straining from holding on and my pulse was racing. On such a lovely day, I decided it would be far more pleasant to be chauffeured around. Thankfully, Mr MM (plus our lovely guide, Kristy!) was more than happy to accommodate, so I ditched my sled and became a passenger for the rest of the way. The verdict? 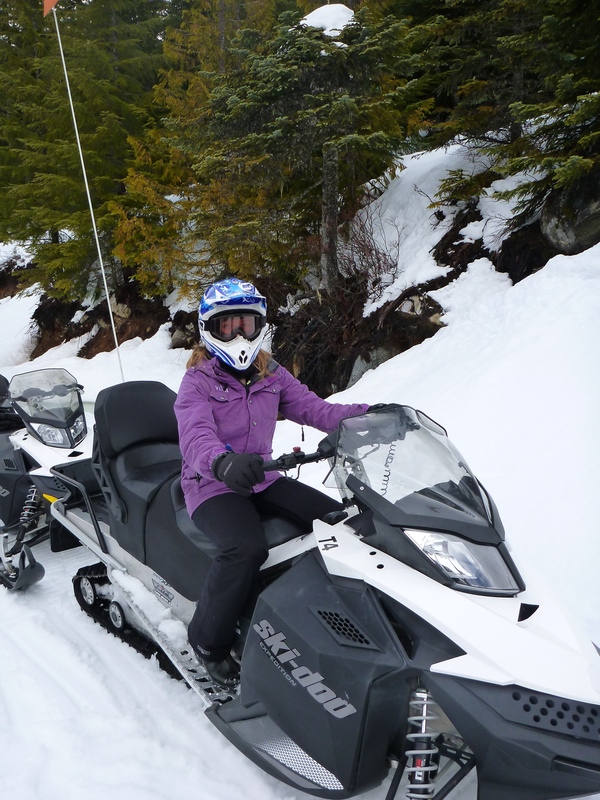 Snowmobiling (or sledding, for those in the know) is actually really fun! 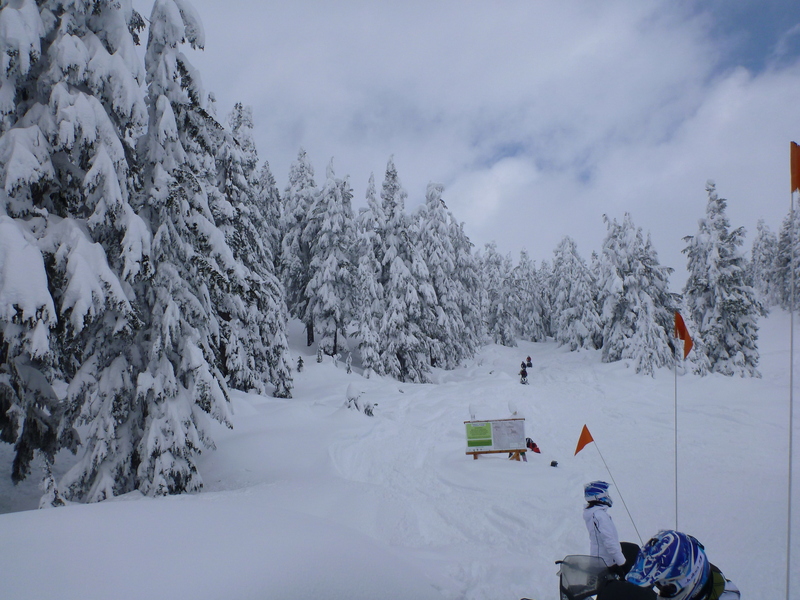 Like jet-skiing, I had no problem taking control on the big, wide open lake that was covered in about a foot of fluffy, soft powder. That was awesome! The winding hills and sharp turns around trees and near cliffs — not so much. For those parts, I was happy to be on the back… though that wasn’t exactly smooth sailing either! I did have a go on the front — once we back in the open! So maybe I’m not as adventurous as I’d like to believe. But I’m glad I had a go and ripped it up. Who knows? Maybe I’ll be back… but then again, maybe not!